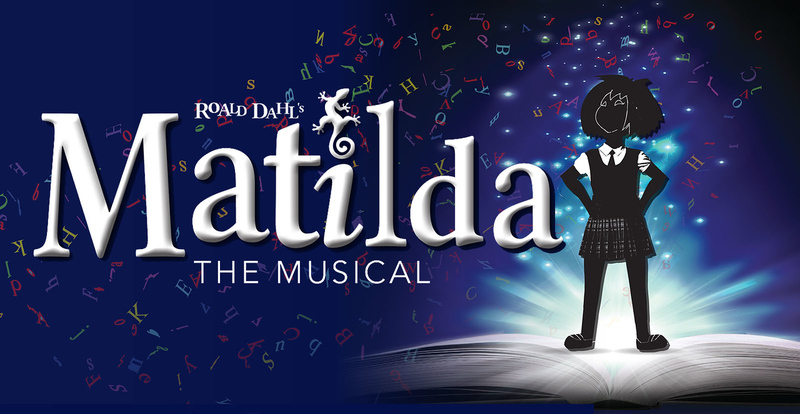 The Rose Theater will host an audition for adult and youth roles in its 2019 production of “Roald Dahl’s Matilda The Musical” on Tuesday, December 11th and Wednesday, December 12th, 2018. Youth actors wishing to also be considered for The Rose’s production of “The Dollmaker’s Gift” will have the option to indicate this at the audition. The audition will consist of a vocal audition of at least 16 bars of a contemporary musical theater song. There will also be a dance audition conducted at this time. Callbacks will also be December 17th for all roles in the show. Actors must be available for weeknight and weekend rehearsals between April 30-June 7, 2019 as well as weeknight and weekend performances between June 7-June 30, 2019, with one weekday performance on June 12, 2019. Time Magazine’s “Best Show of the Year”. Tony® Award winner. Featuring the hit songs “Naughty” and “When I Grow Up”. Miss Trunchbull– 30s-70s, high baritone, Headmistress of Crunchem Hall. Once a famous athlete, now described as a “gigantic Holy terror”. Miss Honey– 20s-40s, soprano, adored by every child in her care, secretly Miss Trunchbull’s niece. Mr. Wormwood– 20s-60s, vocal range approximately top A to f#, dealer in second hand cars, a crook. Mrs. Wormwood– 20s-60s, strong belt voice approximately up to top F/G, mother of Michael and Matilda, obsessed with amateur ballroom dancing. Mrs. Phelps– 20s-70s, encouraging local librarian who is Matilda’s confidant. Rudolpho– 20s-60s, Mrs. Wormwood’s dance partner. Must be a strong social dancer, particularly with tango or other Latin dance experience. Michael Wormwood– teens-20s, Matilda’s older brother, very deadpan. Doctor-20s-60s, high tenor with a comfortable top A.
Lavender– loud and kooky, likes to have fun, strong singing and acting. Alice– strong and bold, strong dance and vocal ability. Hortensia– feisty, strong dance and vocal ability. Eric– Cute. Small. Ability to learn. Tommy– strong dance and vocal ability.